Squeaky Books: AWESOME PICTURE BOOK! If the TITLE doesn't make you want to buy this book, then I don't know what will. Except perhaps them AWESOME story. I have read this book, but I have no idea how to review picture books, so this is not a review. 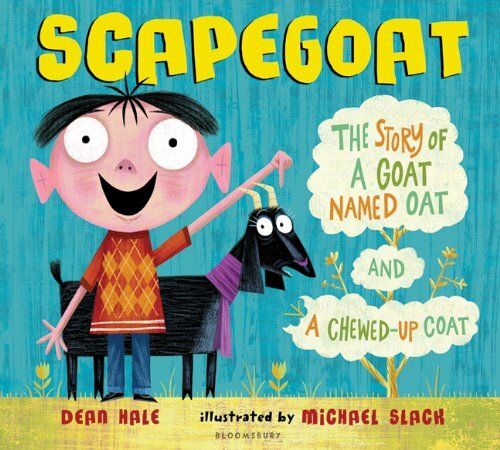 It is just me saying that Dean Hale is awesome and you need to go buy his book right now. If you want proof of his awesomeness you should check out this post by Shannon Hale (his wife) and this post by Dean. And while you're visiting dreadcrumbs you should read some of the past posts and be OVERWHELMED by his awesomeness. If you know a kid, or if you have an inner kid, then you should buy this book. It's hilarious, and the phonetics in it are great for kids learning language, and adults looking for a laugh. This is all I have to say on the subject. Go buy the book. Aw, this is so awesome of YOU. Thank you.